We're Anime lover and we want to help Fansub. First, we look at the most classic problem for Fansub it is encoding problem, for instance, encoding is complicated, subtitle sliding from frame to frame, subtitle invalid display and more. So, we made Konayuki Encoder fix all the problems and you can totally forget about it. In the future, we will bring the new tools to help Fansub as much as we can. - New feature; form transparent while dragging. 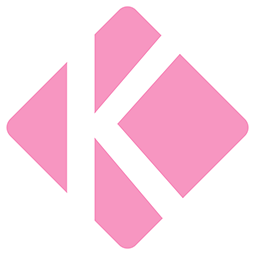 - New Konayuki Codec Updater 14.7.5. - New Japanese language for a tooltip. - Add new "Basic Troubleshooting" in the user manual. - Update Warp Sharp filter, support AVX2, and AVX extensions. - Improve API both speed and stability. - Improve Line Darkener algorithm. - Improve Motion Interpolation (60FPS) algorithm. - Change the scale value of Sharpen, Warp Sharp and Color Enhancer. - Change overlay color of the compare mode to match the theme. - Change menu "Send Feedback" to "Troubleshooting". - New Line Darkener algorithm. - When opening the program while running will bring the window back again to prevent confusion. - Support all languages, symbols for path and file name. - Decoder supports most modern Codec including AOMedia Video 1 (AV1). - Update error messages with highlight the important messages. - Fix critical and minor bugs. - Add fallback decoder for modern Codec. - Fix a bug that causes the program not responding randomly. - Change save directory of the ffindex cache. - Fix: Expr: possible Expr x64 crash under specific memory circumstances (AVX2 only). - Fix: Expr: safer code for internal variables "Store and pop from stack". - Add more fonts to the Fonts Finder. - Fix preview jerky when using any image on the video such as Intro or Endcard. - Update Motion Interpolation (60FPS) Support GPU. - Improve Motion Interpolation (60FPS) Profile: Smooth, Overlap. - Fix incorrect audio track. - Fix preview toggle bug. - Fix font finder bug. - Fix detail not update upon selection. - Add all-new build-in player with real-time renderer. - Add automatic VSFilter selection. - Add automatic subtitle's timing correction for all RAW files. - Add automatic subtitle's font finder from the server. - New CPU extension AVX-512/ZMM support. - KONAYUKI PLUS fully running on a 64-Bit OS. - Update AMD Encoder release version. - Improve the tooltip explanation. - Merge KONAYUKI INFO into the KONAYUKI PLUS. - Fix GUI bug with High DPI monitor. - Add aWarpSharpMT 2.0 for "Warp Sharp" in video enhancer. - Add support GPU encoder with mosquito noise remover. - Add auto-detect and convert HDR to SDR. - Separate VSFilter between OP and ED for Karaoke. - Change aWarpSharp filter to aWarpSharpMT for better performance. - Improve the tooltip explanation of quality track bar. - Fix config saving bug. - Add audio Sample Rate converter. - Add translator's name and flag at the tooltip language selection. - Add user confirmation about video enhancer and special option. - AviSynth+ error message supports multi-language. - HotKey overlay supports multi-language. - Support the Portugues-Brazilian language. - Fix preview's time calculator bug with Intro/EndCard. - Fix bug loading JSON file. - Fix splash screen loading bug. - Fix intellectual property protection that confusing some anti-viruses. - Update FFmpeg to "20180322-abf35af"
- Update FFplay to "3.4.2 (Release)"
- Rename "Changelog" to "What's New". - Change the setting title bar color to pink. - Fix bug with the number decimal separator for other countries. - Fix some API bug. - Add custom output folder back in. - Fix log dialog bug. - Fix Software Encoder bug if close the preview while encoding. - Change name "Change-log" to "What's New"
- Now the "What's New" using website instead of plain text. - Change information box title from clip name to details. - Fix preview conflict with encode while indexing. - Fix bug that can delete when indexing. - Introducing "KONAYUKI INFO" instead of plain Notepad. - Custom output have been change from select folder to save file dialog. - Fix the program not responding at startup for the fresh install computers. - Fix error when play media if file have not been found. - Fix MPC-HC video corruption for some people. - Fix HEVC software encoder return skip with FLAC audio. - Fix main path is different folder from main path in the project file. - Hot Fix : Bug audio track with old project file. - Show progress while indexing. - Add ability to select audio track. - Add "How to Use" button in the information menu. - Support insertion of Intro/EndCard to the source audio with multi-channels up-to 10 channels. - Minimize the properties output. - Fix conflict with another program that take control of Codec. - Fix FFmpeg output file's MediaInfo with typos. - Fix critical bug that consuming CPU when use Intro/EndCard video. - Fix can't encode if not focusing to the list. - Fix can't remove file from the list if the file was deleted after encoding error. - Change folder name "language" to "languages". - Fix changelog window bug. - Add changelog in the information menu. - Minor change in API code. - Support 64-Bit encoder from the test result show 50% increase in performance compare to 32Bit. - Change C++ Redistributable to 64-Bit version. - Change "Subtitle Remover" status to coming soon. - Add duplicate button in queue's context menu. - Add "After Completion" system in setting. - Add support CPU's AVX2 extension with "Resizers" algorithm. - Add show status in the right-list. - Support Intel GPU HEVC Encoder both 8Bit and 10Bit. - Update "Blur, Sharpen" algorithm with CPU's AVX2, SSE2 extension speed up 1.35x to 1.5x on Intel i7-7770. - Speed up converting from RGB24/RGB48 to Planar RGB(A) - SSSE3, approx. doubled fps. - Enhanced VfW exporting Y416 (YUV444P16) with CPU's SSE2 extension. - Add timestamp at the end of output filename to prevent overwrite duplicate filename. - Optimize update system algorithm, decrease the load time. - Fix can't import file with uppercase extension letter. - Fix current setting not the refer to the select index of the list. - Fix swap between FPS and speed. - Fix update system bug. - Fix FFmpeg AAC audio broken sound. - Introduce encode by queues system. - Add ability to save queues to project file as "Konayuki Project File [.kpj]"
- Add GUI guide system to preview window. - Add KONAYUKI PLUS encode's setting to output file's comment. - Add MediaInfo print-out in queue's context menu. - Support subtitle filename for all languages. - Support AMD GPU Encoder both H.264 and HEVC. - Drag and Drop file feature. - Published to the public. - Add Konayuki Sync Engine (KSE).